Kyiv has been there for a long time, in fact, it is one of the oldest settlements in Europe and among the first ones in the Slavic world, dated to exist as far back as the 6th century. But it is now more than ever that Kyiv is meant to be seen by foreign eyes. It has dealt with the deepest crises of 90ies, sensitive democratic demonstrations in the beginning of the millennium, and is ready to accept the visitors from all over the world by making its streets, metro stations and cafe menus readable by foreign eyes. It’s not a secret that Ukraine has been headlining the news with some distressful messages but this is exactly why Kyiv needs you now. While the remains of Euromaidan revolution are still visible, people are more than ever willing to show that they belong to the European cultural society by welcoming you in the capital city of Kyiv. An entire book can be written on the subject of Ukrainian taxi drivers. But the basis of what you need to know is here. Beware: when you step out the airport, a taxi driver will attack you with their proposals to sit in their car. Don’t be surprised if some of them will take your bag and start dragging towards an unknown direction. Don’t worry, they are not stealing your baggage, they just really want you to choose them. Advice: decide how you will transport yourself from the airport beforehand to avoid being dragged off by a taxi driver. Info: taxi drive from Boryspil airport to Kyiv districts should cost you around $15-20. As a foreigner, your English will double the normal bill just like that. Without knowing what to negotiate and what the price should actually be, I would recommend you to use either a public bus to Vokzalna station (Central station) which is parked right outside the main entrance of International Terminal (costs 80UAH or $3) or an uber. Uber system works very well in major Ukrainian cities and takes away the whole bargaining part. Want to get the most out of your stay? Get a Kiev private guide to help you get the best experiences the city has to offer. Looking for a hotel in Kyiv? Generally, renting out apartments for a few nights is quite common in Kyiv, and you can get some pretty luxurious ones for cheap. 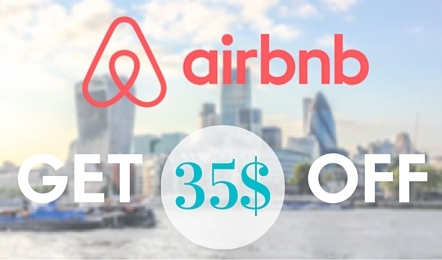 Check them out on Booking.com or AirBnB. Obviously, there are a lot of things to do in Kyiv, taken that this is a multi-million city with rich history and culture. A great variety of Ukraine tours are offered for any kind of traveler, including off-the beaten path tours, Kyiv mural tours and even trips to Chornobyl, if you have the time. But if you are here for a short stay, I would like to suggest a walking route throughout the main Kyiv sights that will make you fall in love with the city. Though I have mixed feelings regarding Kyiv, I absolutely adore all the parts proposed below. Don’t leave the best for last! Start your exploration of Kyiv with the most iconic street – Khreschatyk, the main street of the capital city. If you are lucky to be here on a weekend, the street will be closed for transport and you can walk the road freely. You’ll see the City Council building and many shopping possibilities on your way. But don’t fill up your bags just yet, as there is a long way ahead. As you reach Maidan, take a turn to Sofiivska street that will lead you straight into one of my favorite churches of all time – St. Sofia’s Cathedral. It is insanely unique and beautiful and opens up a great view towards the next destination – St. Michael’s Golden Dome Church. Do not miss the opportunity to take a picture squeezing in the monument to Ukraine’s glorious hetman – Bogdan Khmelnytskiy. A short walk from here is a funicular station that will take you down to the Poshtova Ploscha station. But if you are not tired, do not jump into that funicular just yet! One of the most awesome walks is still ahead. Appreciate the views over the Dnieper river from atop, taking note of that giant statue of Volodymyr the Great, one of the most significant figures of Kievan Rus. Now, finally, turn to take the Andriivskiy descent, also known as a Montmartre of Kyiv, where artists are working at and displaying their craft. Here, you’ll be able to spot the markets filled with Ukrainian souvenirs all the way down to iconic St. Andrew’s Church. Returning via Volodymyrskiy descend, take a step uphill next to Friendship of Nations Arch to wander through some more hidden treasures of Kyiv. Here you can spot the Museum of Water and a magical Puppet Theater that looks like a castle from a fairy tale. Take Parkova road to walk up to the Mariyinskiy Palace which was built by the order of Russian Empress Ekaterina II. Finally, walk up to Gorodetsky House, which is also known as a House with Chimaeras, due to architectural sculptures of beasts and fairy-tale characters that sit atop the building. It is located right on the opposite of the Presidential Administration. Thereafter, descend back to Khreschatyk via the Instytutska street. This is where the major tragic events during the Euromaidan revolution took place and protestors were shot dead. You can still see the signs of the revolution here with portraits of those fallen and occasional pedestrians that cannot hold their tears. Congratulations, you have closed the loop and came back to Maidan! Now, if you walk up the bridge right behind Stella you can get a perfect view over the entire Independence Square. Want a little bit of artsy extra? Since you came back to Khreshchatyk, keep on walking towards Bessarabskiy Rynok, which is one of the great examples of Soviet-style fresh product markets. And once you are there, take a peek at Pinchuk Art Centre that is right across the street. It is free to enter and has some amazing installations from time to time. If the collection is really good, there will be plenty of people queuing. Are you traveling in Ukraine? 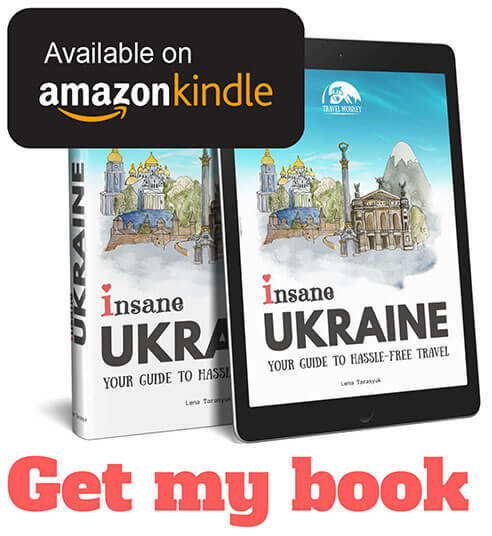 I wrote a guidebook for traveling in Ukraine hassle-free. It offers insiders tips and tricks on how to travel Ukraine in a smart way, so that you leave with nothing but good memories. next article: Forget the top things to do list. This is how you should really see Melbourne! Great photos! I love the colours and architecture of the churches. Thanks for the tips about transportation from the airport too. Hopefully I can visit Kyiv soon! 10$ dirt cheap….. ? look on boooking com Ok hostel 80UAH thats 3 dollar – just about.. that was 2 weeks ago! awesome, thanks for the tip, will add that right to the article! cool that u up dated. and that my name tag links to my site. u dont mention the motherland monument. or mother ukraine as i like to call it after mother georgia and armenia. very cool place to go to. can send pic if u need. Kyiv is indeed amazing and hugely underrated city!